The evaluation of the condition of some types of concrete structures is possible by following guidelines set out in procedures and manuals, such as the "Handbook for Bridge Inspection" published by the Swedish Road Directorate. It would be desirable to have similar guidelines for other categories of important structures, particularly in cases where safety aspects are dominant. A nuclear power plant (NPP) consists of a number of functionally different structural components in a variety of environments and effective inspection is only possible if we know what we are looking for and have the capability to apply reliable and relevant testing techniques. This report briefly discusses actual and potential deterioration processes and their causes based upon several years of investigative work on concrete structures in Scandinavia, including NPP and provides some input for development of practical inspection procedures. Some common deterioration processes are highlighted to bring attention to the need for inspection. A more detailed study of chloride attack and reinforcement corrosion is presented, and finally a summary is given of state-of-the-art technologies for in-situ testing. Concrete is a living material and in terms of durability and structural ageing is governed by moisture content. As pointed out by Mehta et al  that water is "at the heart of most of the physical and chemical causes underlying the deterioration of concrete structures". Among other effects, moisture levels determine the risk of corrosion attack occurring on cast-in steel and reinforcement and the rate of deleterious mechanisms such as alkali-aggregate reaction (AAR). At the same time a long-term ageing effect caused by drying-out of the cement matrix in concrete will be evident and the result will be reduced strength. A combination of dry and wet concrete may cause differential shrinkage which in turn may well lead to cracking. A balanced and stable moisture level would seem to be desirable, but cannot be achieved since the structural members are usually massive and are subject to different environments. Moisture variations affect testing performance as the speed and penetration ability of acoustic and electromagnetic pulses used in modern techniques are strongly dependent on this factor. The criteria used in evaluating electrochemical test results are similarly affected by moisture content (oxygen availability). It may be said that any advances in non-destructive testing methods will be dependent on the ability to determine the moisture condition of massive concrete members on site and the ability to use this information in processing measurement data. When the structure is newly taken into service there may occur damage which is attributable to unsatisfactory construction practice. The damage may have an immediate effect on the structural integrity, such as in the case of voids in walls of which there may be no visible evidence - concealed defects. Poor construction usually leads to reduced durability which will manifests itself in later years. The working life of the structure may be reduced or extensive maintenance may be required as a result of deterioration of materials, usually steel subject to corrosion attack. Evidence of this type of damage may appear after 15 or 20 years and is strongly environment dependent. The damage processes may occur in ancillary structures of an NPP and are similar to many other forms of concrete structures. Corrosion may be detectable at an early stage and prior to serious damage occurring to the extent that the functionality of the structure is affected. Should an NPP be required to maintain its capability of shielding or isolating radioactive materials over long periods of time following decommissioning then extra demands are placed on durability. At any age the quality of a structure in the sense of integrity and potential durability is almost totally dependent on the quality of construction. It could therefore be argued that condition assessment testing should be carried-out at as early an age as possible. preferably immediately following construction. Nuclear containment buildings are designed to withstand internal pressures and to act as a barrier to the release of radioactive products in the event of an accident. The walls are typically 1 - 1.5 m nominal thickness pre-stressed monolithic structures and may have a steel liner cast in some 300 mm from the inner surface. These structures are often cast using the slip-form technique, which is briefly described below. The process of slip-forming involves using a form which moves continually upwards at a rate of up to 300 mm per hour while fresh concrete is poured in 150 mm layers into the top. As shown in Fig. I, the forms are inclined inwards some 6 mm/m to allow the concrete to detach itself from the bottom of the form. Plastic concrete placed into the top of the form should be stable by the time the formwork leaves it below (a penetration resistance of between 50 and 200 psi measured in accordance with ASTM C 403 is normally required at the trailing edge of the formwork) and should therefore not sag. Fig. 1. Slip form construction may cause problematic zones in concrete. In Fig.1 it can be seen that the thickness of the concrete wall increases successively from the top of the form until the side support ends. This increase in thickness is partly hindered by the reinforcement near the surfaces. This means that the concrete outside the reinforcement can move more readily against the form than the inner concrete. The risk of cracks forming is thus dependent on the consistency of the concrete, Fig.1(a). This type of cracking is hazardous in open-air environments where aggressive elements such as Cl, CO2, SO2 and rainwater can penetrate to the reinforcement. Another form of cracking is that caused by separation of the upper section of the plastic concrete in the form. A large horizontal separation crack develops and is masked by cement paste which is smeared by the form at the surface, Fig. 1 (b). In Fig.2 we see the result of concrete "hang-up" in the shell wall of a concrete chimney. This particular defect went unnoticed for many years after construction. The design of the concrete mix in this case was probably unsuitable and this combined with poor compaction led to the formation of a large internal void. Internal voids adjacent to the steel liner of an NPP deny the corrosion protection normally provided by cement paste and this may have serious consequences in the warm and humid environment of a power station. Structures dating from 1940, 1970 and 1985 have been inspected by the authors and have shown similar patterns of damage as described above. In the most extreme cases damage to pre-stressed cables may lead to failure and collapse, as occurring in the case of bridges and industrial buildings in Germany and the UK. One of the primary areas with respect to corrosion attack of the stressed cables is a void in the cable duct since the steel is not protected by the alkaline cement environment and is exposed to intrusion of aggressive elements. The testing situation is thus one of first locating the cable ducts m the concrete members (preferably by non-destructive means) and then detecting voids in the grout filling of the duct. If the physical condition of the steel cables can be detected using NDT then this is of course a bonus. Fig.3. Moisture distribution in a concrete element with one surface exposed to a dry (room) environment whilst the opposite surface was occasionally wetted by condensed water. Water is one of the major components in concrete, it reacts with cement and makes the fresh concrete mixture workable. Only part of the water will be consumed by the cement hydration, and the rest will be absorbed in the capillaries in concrete, ready to evaporate when the concrete is exposed to a dry ambient condition. Drying of the concrete causes moisture to evaporate from the capillaries, and the cement paste shrinks to compensate for the surface energy change. As the drying is taking place through the concrete surfaces, it will create an uneven moisture distribution from the surface Awards and consequently a differential shrinkage for the concrete member. This may lead to tensile stresses with resulting crack formation. An example of a thick concrete element with one-sided water pressure is shown in Fig.3. The humidity profile in this case is shown for depths 150, 300 and 800 mm from the "dry" surface. The age of the structure at the time of test was approximately 25 years. Visible cracks at the surface were found to extend to approximately 300 mm depth. The presence of chloride (Cl) in reinforced concrete has been recognised, since the 1950s, as one of the major reasons for reinforcing steel corrosion in reinforced concrete, such as maritime structures, highway bridges and parking decks in areas where Cl-containing de-icing salts are used during the winter season. Corrosion has been attributed to the fact that cl destroys the protective passivation film which is formed on steel surfaces due to the high pH condition in concrete pore solution (pH=12-13). In recent decades, research on concrete durability has greatly increased and has demonstrated that many of severe problems, such as cracking, delimitation and spalling of concrete, are related to cl induced steel corrosion. The corrosion induced damage is a serious problem for the infrastructure and commonly found in structural members such as pillars and beams. If sea-water is used as the coolant in power stations, it can of course affect the concrete cooling water system and could lead to stoppages in production. Fig.4. Cl distribution in concrete. Structure 1: Quay at a seaside, 23 years. Structure 2: Water channel (for sea-water), 18 years. Cl- content was determined by chemical analysis of specimens sampled from the structures. From the point of view of providing sufficient information to the owners of concrete structures to enable them to plan the best strategy for production, including repair and maintenance work, it is important to inspect the Cl distribution in concrete. Fig.4 demonstrates the variation of total Cl in concrete, i.e. the profile of Cl content in relation to depth from the surface which had been exposed to sea-water. The ingress of Cl depends on both the concentration of Cl in the seawater and the quality of the concrete. This is evidenced by the samples taken from Structure 2, which despite the shorter service time and less saline seawater, the depth of the affected zone is found to be greater compared with Structure 1. The surface layer of a few millimetres thickness contains less Cl . This is more obvious for the lower quality concrete (Structure 2) and for the concrete at semidry conditions, and can be mainly attributed to the deterioration of the concrete. The surface concrete in the seawater splash zone was carbonated by the CO2 m the surrounding air. It was washed by seawater and rain, which has caused decomposition of the cement paste due to leaching-out of lime, and was subjected to other physical and chemical deterioration processes such as sulphate and magnesium attacks. The maximum Cl content is about 0.2 % by mass of concrete, occurring at about 5 mm under the surface for Structure 1. The maximum Cl content in Structure 2 is about 0.25% which seems to be quite high, considering the fact that the Cl content in the seawater in this area is only 1.8 g/l (or 0.05 mole/l). This can be explained by its lower designed strength (higher water/cement-ratio ) which corresponds to a higher porosity and water permeability. Experimental results also showed that about 70% of the total Cl in concrete could be extracted by water, which indicates that a large part of the Cl ions are only loosely adsorbed by the concrete and may participate in the steel corrosion process. Indeed the in-situ measurement of electrochemical potential of Structure 2 showed active areas where the reinforcement may have started to corrode. According to Sagoe-Crentsil and Glasser , in a dilute Cl solution of 0.010-0.015 mole/l, the solubility of iron at pH appr. 13 abruptly increased from nearly zero to 0.170-180 mole/l, i.e. the corrosion is likely to occur even at the presence of such low concentration of cl. A higher threshold value proposed earlier by Hausmann  was mole ratio Cl/OH > 0.6 (Cl=0.06 mole/l in concrete with pH=13), which can be expected to prompt a rapid corrosion process. This is a form of chemical reaction which occurs between aggregates which contain alkali-reactive constituents and cement alkalis in the pore water of the concrete. The most common case is alkali-silica reaction (ASR), which is a reaction between alkali and some siliceous compounds in aggregates producing a type of gel. When in contact with water, the gels swell causing tensile stresses and ultimately cracking, which often results in a "map pattern" on the concrete surface. Of the Scandinavian countries ASR damage has so far only been a serious problem in Denmark. The detrimental expansion takes several years to develop in field concrete structures, thus the potential risk is often evaluated in the laboratory under accelerated conditions. For example, some Norwegian rock types have been considered to be non-reactive only to be re-evaluated on the basis of experiment. In these studies it was found that for reactions to occur then at least 20 % of the total aggregate content should be reactive, and that the alkali content of the concrete should be high i.e. more than 3 kg equivalent Na2O/m3 concrete . A pre-requisite for AAR is of course high moisture levels. When a structure is suspected to have AAR, both the reactivity of the aggregates and humidity levels in concrete need to be examined, and the development of cracking closely monitored. It should be noted that the development of cracking may accelerate after some years. The consequences, apart from reduced durability due to cracking, are primarily reduced tensile strength. The methods may be direct or indirect, for example they may be used to give information about size, depth or physical condition or they may from one or more measured parameters give information which may be used to evaluate risk of damage or on-going deterioration processes. They may also give information relating to strength of material, potential durability or bearing capacity. There are of course advantages in having access to several techniques which complement each other. In the following tables a summary is given of potential damage types and suitable non-destructive testing techniques for assessing these, including their present capability. The testing methods listed are exclusively those which the authors have first-hand experience of and represent state-of-the-art techniques for in-situ testing of concrete. The summary evaluation of the methods in terms of reliability and usefulness is based on practical experience in specific situations and it is not intended that these evaluations be universally applied to the given techniques. 1 - Good, 2 - Fair. 3 - Poor. It may be pointed out that due to the special features of concrete construction, e.g. large dimensions, micro-heterogeneity of materials, etc., even the very conventional NDT testing methods need to be and have been modified and the mechanisms researched into in order to give efficient and confident analysis. on rate . Wiberg  has elaborated the dependence of pulse propagation through concrete on the material composition and properties, and shown and discussed the possible applications of ultrasonic techniques in detecting defects, even micro-cracks, in concrete. The use of ultrasonic impulse echo techniques in testing concrete has been intensively studied since the 1980s. The theoretical background, results of experimental work and some field inspections are presented by many researchers, e.g. Krause et al . Sansalone and Carino  demonstrated a generally successful use of impact echo method in detecting large flaws in concrete, and positive results in testing duct (without strands) embedded in concrete slabs . On the other hand, Jansohn et al  reported uncertainties of using this method m detecting voids in metal ducts containing tendons. Moreover, reports on successful field inspection in detecting voids in tendon ducts have yet not been apparent. 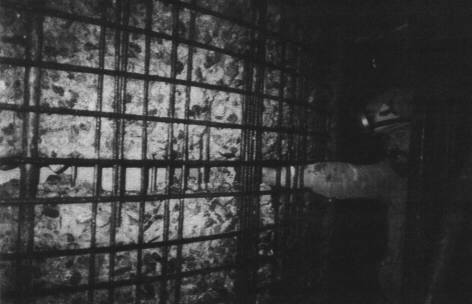 X-ray radiography, a technique that visually reveals object under investigation, has been used for insitu concrete inspection since the 1950s. However, its field application continued only at a very limited extent, as was summarised by Mitchell , partly due to the cost and immobility of X-ray equipment which requires high voltages. In recent years, more and more investigations have been carried out to explore the use of radiographic imaging techniques for concrete property control. For example, Clarke  presented the use of g-radiography m concrete, and the dependence of transmission of g-rays on concrete thickness, and the thickness of lead filter. BS 1881: Part 205 recommended 60 Cobalt, 192 Iridium, and Linac (8 MeV X-rays) as suitable sources of radiation. Kear and Leeming  demonstrated the possibility of using radiographic methods to inspect post-tensioned concrete structures, and especially the advantage of high energy X-ray source such as Betatron, m penetrating power, image sharpness and safety. The authors  employed a 6 MeV Betatron in a field inspection of a concrete structure, and showed that it effectively revealed the pre-stressing strands, concrete defects as well as the reinforcement in a 750 mm thick concrete slab. Mehta, P.K., Schiessl, P. and Raupach, M., "Performance and Durability of Concrete Systems", Proceedings of the 9th International Congress on the Chemistry of Cement, New Delhi, 1992, Vol.1. pp.597-659. Sagoe-Crentsil, KK and Glasser, F.P., "Green Rust, Iron Solubility and the Role of Chloride in the Corrosion of Steel at High pH", Cement and Concrete Research, Vol.23(4), 1993, pp.785-791. Hausmann, D.A., "Steel Corrosion in Concrete - How does it occur", Materials Protection, Vol.19(Nov), 1967, pp.19-23. Poulsen, E., Personal communication, 1995. ASTM C 876-91: Standard Test Method for Half-Cell Potentials of Uncoated Reinforcing Steel in Concrete. Annual Book of ASTM Standards, Vol.04.02. Gowers, K.R. and Millard, S.G., "Pulse Mapping Techniques for Corrosion Monitoring of Reinforced Concrete Structures", Corrosion and Corrosion Protection of Steel in Concrete. Edited by R.N. Swamy, Sheffield Academic Press, 1994. Vol. l, pp. l 86-199. Wiberg, U., Material Characterization and Defect Detection in Concrete by Quantitative Ultrasonics. Doctoral thesis, Dept. Structural Engineering, Royal Inst. Tech., Stockholm, 1993. Krause, M., Bämann, R., Frielinghaus, R., Fretzschmar, F., Kroggel, O., Langeberg, K., Maierhofer, C., Müller, W., Neisecke, J., Schickert, M., Schmitz, V., Wiggenhauser, H. and Wollbold, F., "Comparison of Pulse-Echo-Methods for Testing Concrete". International Symposium Non-Destructive Testing in Civil Engineering 1995. pp.281-295 Proceedings' TOC . Sansalone, M. and Carino, N.J., Impact-Echo: A Method for Flaw Detection in Concrete Using Transient Stress Waves, Vol.ll. NBSIR 86-3452, National Bureau of Standards, U.S. Department of Commerce, 1986. Sansalone, M. and Carino, N.J., "Detecting Voids in Metal Tendon Ducts Using the Impact-Echo Method". American Concrete Institute Material Journal, Vol.89 (3), 1992. pp.296-303. Jansohn, R., Kroggel, O. and Ratmann, M., " Detection of Thickness, Voids, Honeycombs and Tendon Ducts Utilising Ultrasonic Impulse-Echo-Technique". International Symposium Non Destructive Testing in Civil Engineering 1995. pp.419-437. Proceedings' TOC . Mitchell, T.M., "Radioactive/Nuclear Methods", CRC Handbook on Nondestructive Testing of Concrete. CRC Press 1991. pp.227-252. Clarke, E.T., "Cobalt-60 Radiography of Concrete", Materials Evaluation, Vol.47, Jan. 1989, pp.1200-1203. Kear, P. and Leeming, M., "Radiographic Inspection of Post-Tensioned Concrete Bridges". Insight - Non-destructive Testing and Condition Monitoring, Vol.36 (7), 1994. pp.507-510.